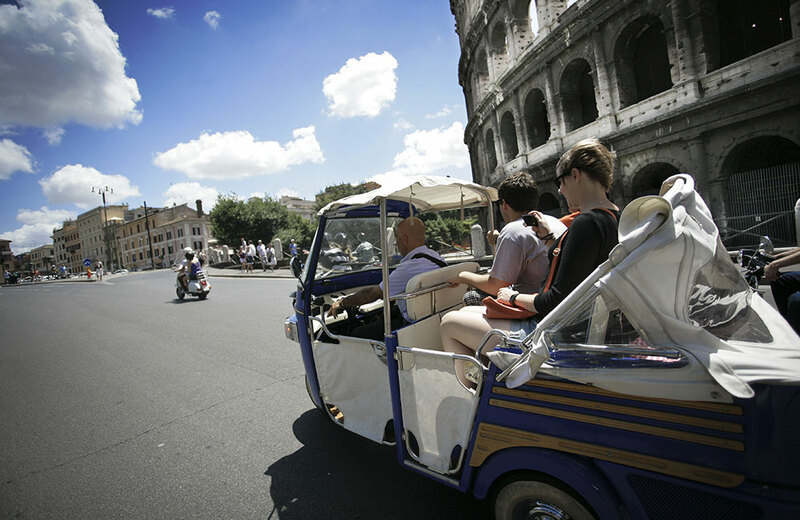 Ape Calessino guided tour is the most panoramic Rome Tour. 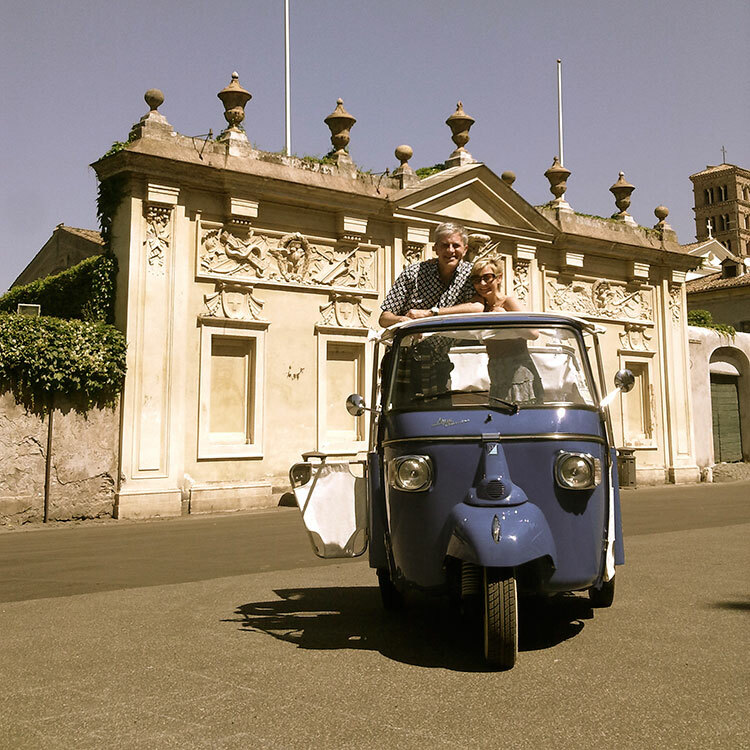 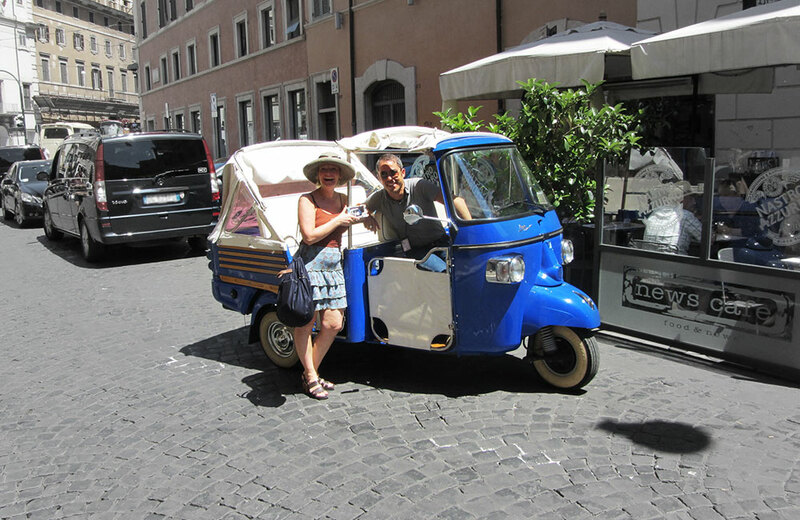 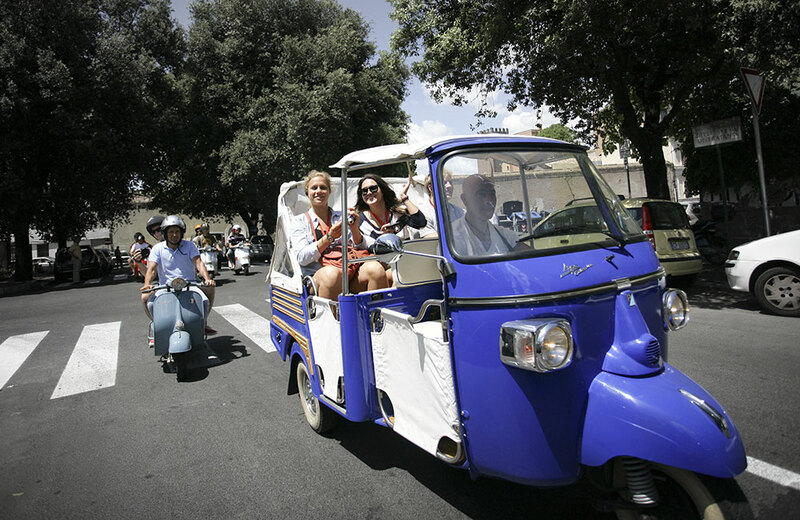 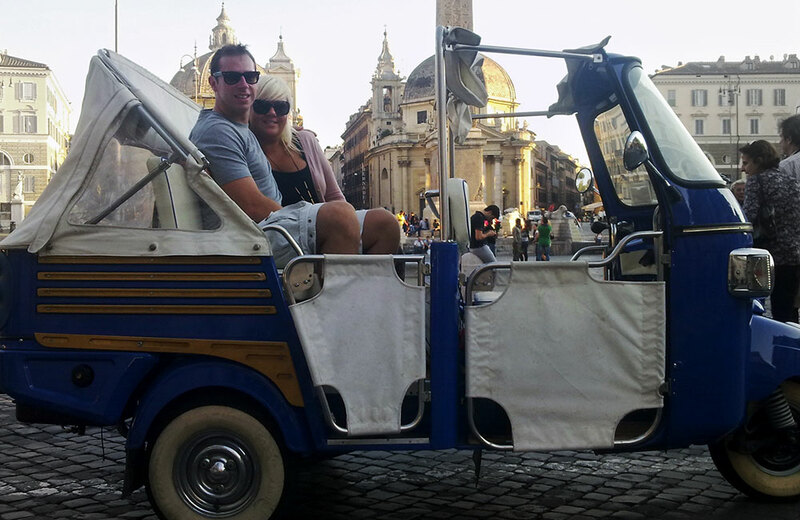 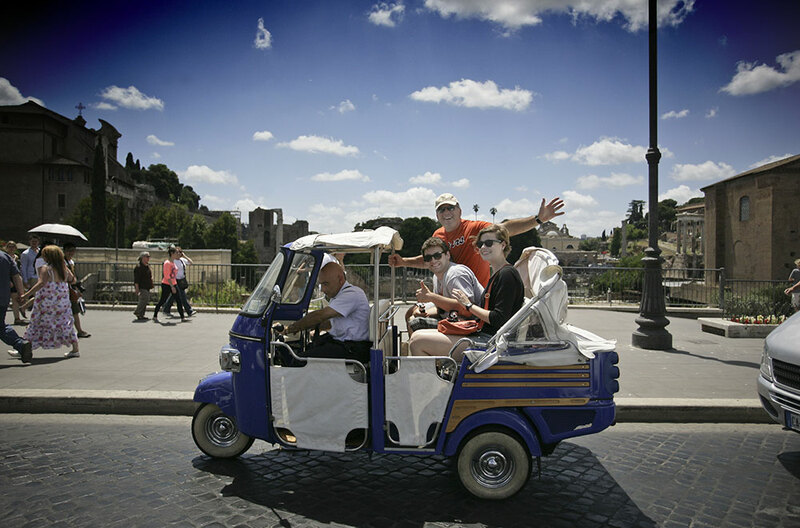 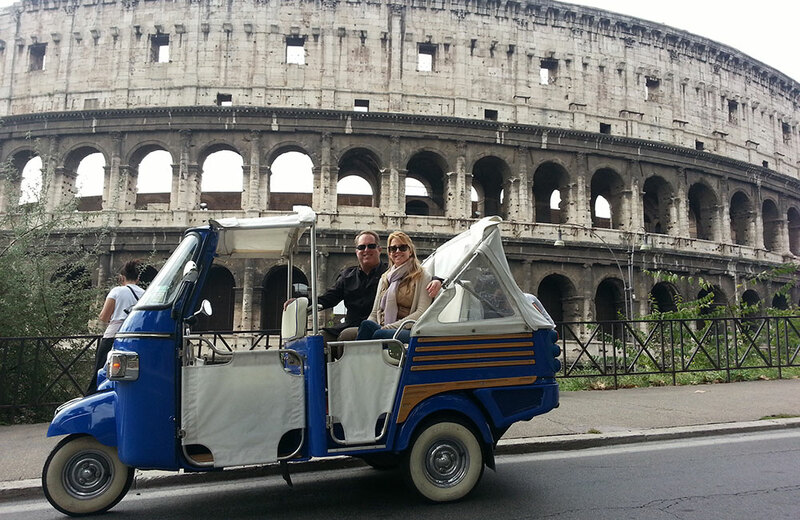 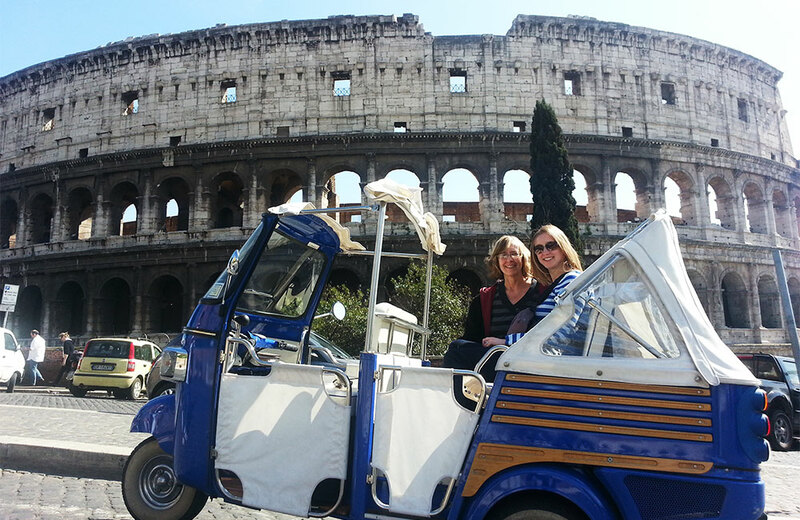 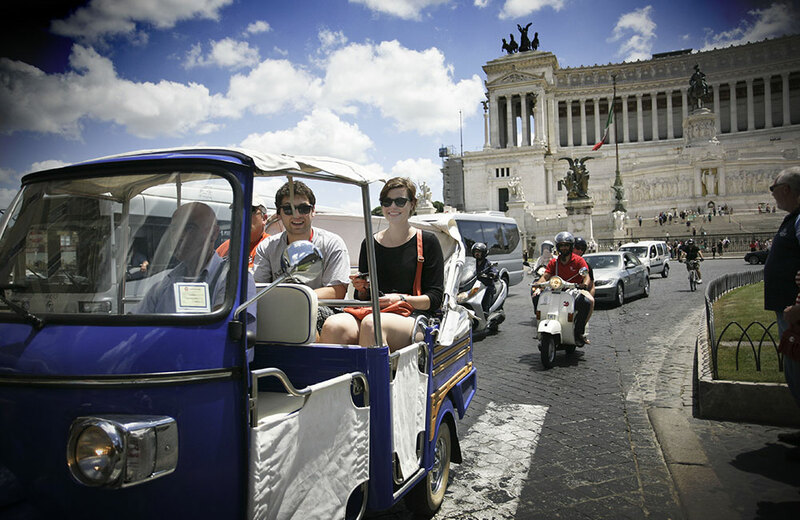 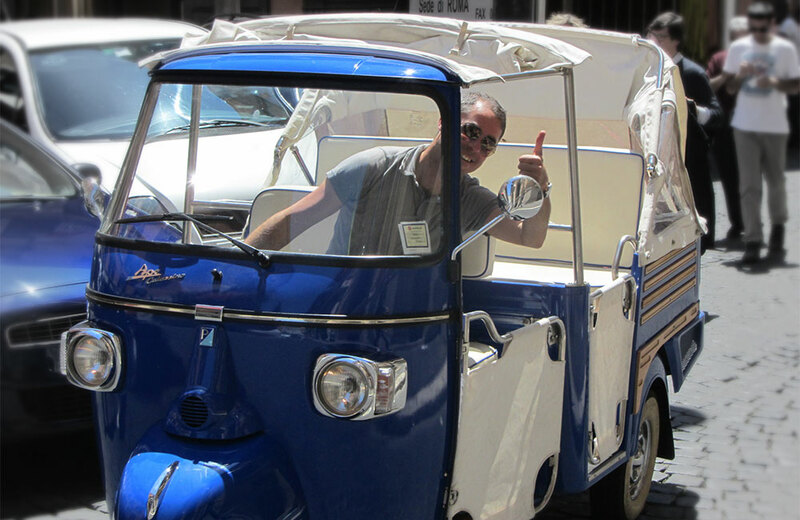 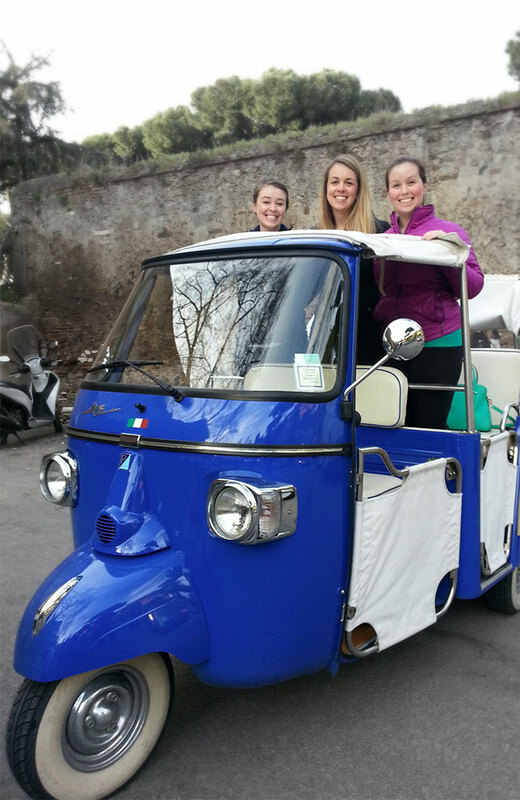 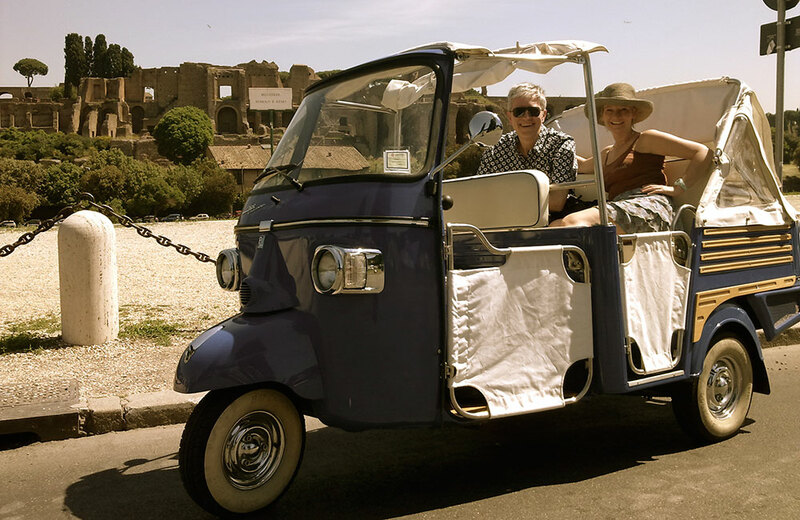 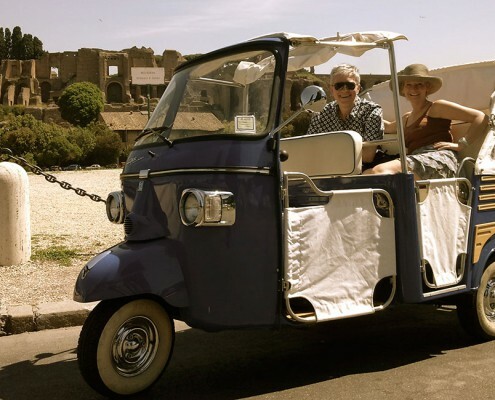 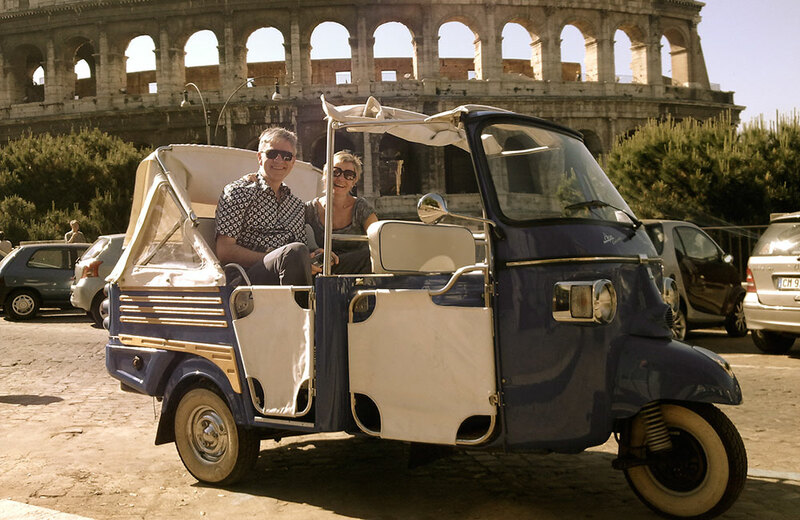 A trip across the alleys and the panoramas of the city of emperors and popes … accommodated on a three wheels couch. 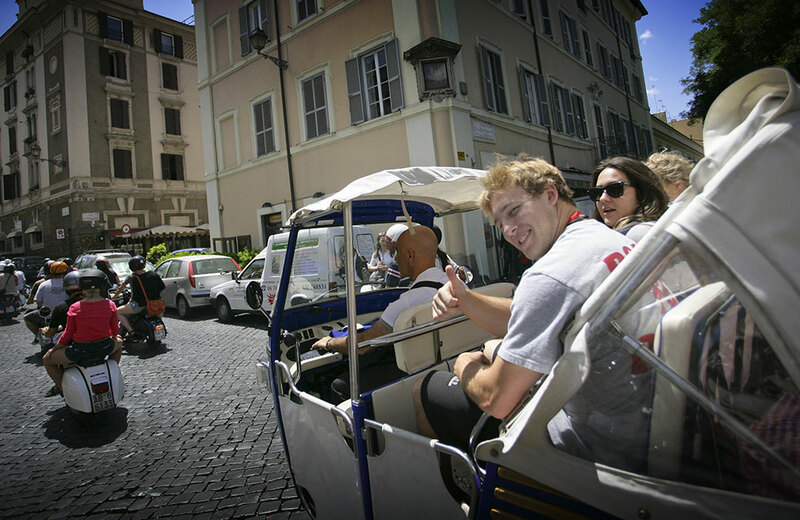 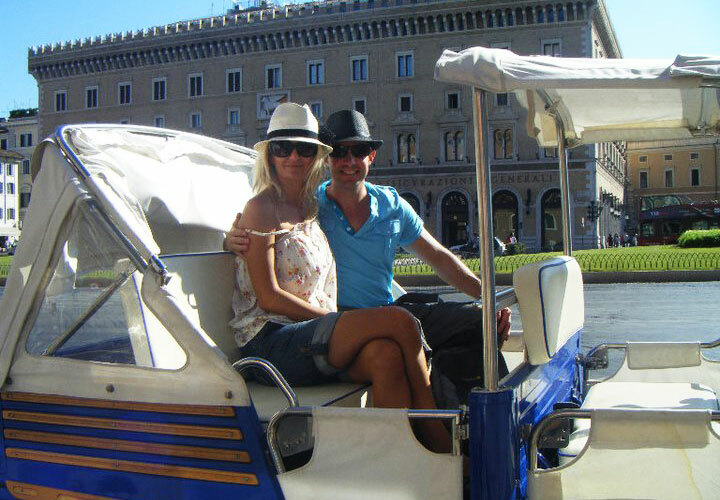 The ideal sightseeing to enjoy the atmosphere and the beauty of the Eternal City. 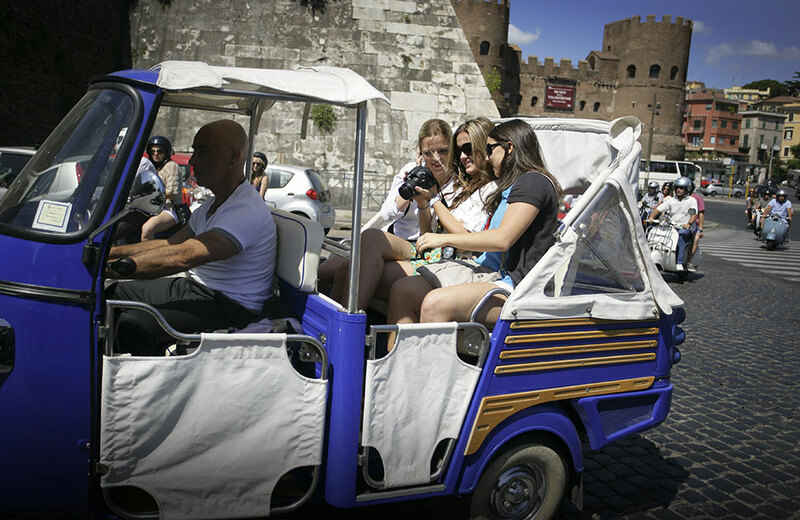 Comfort, Style and Culture: ingredients of one of the most exclusive city tour that combines the value of a quality guided service with the pleasure of a slow scenic walk by a vehicle that is the city attraction itself. 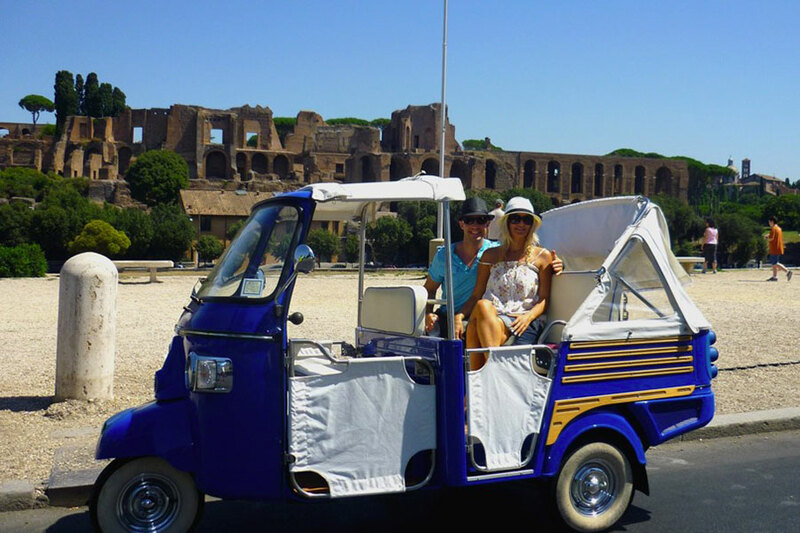 Best Excursion for family or friends.